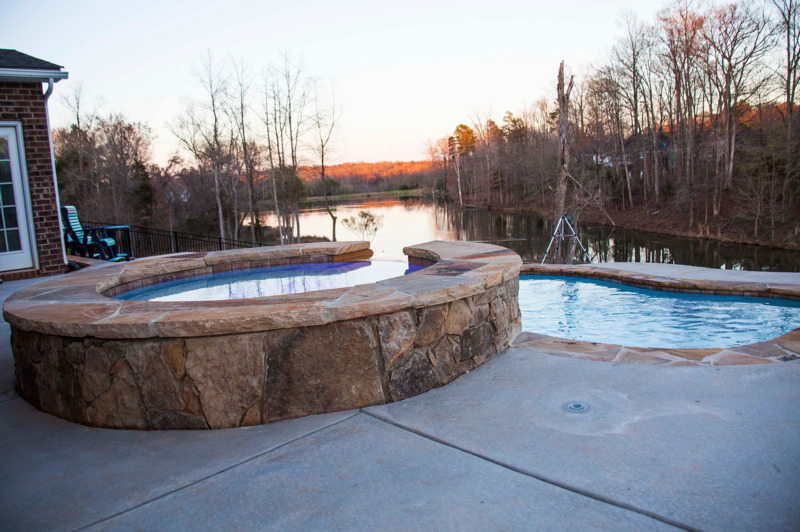 Denver NC homeowners that are looking to create a relaxing retreat right in their very own backyard rely on Carolina Pool Consultants for superior gunite concrete pool building services. 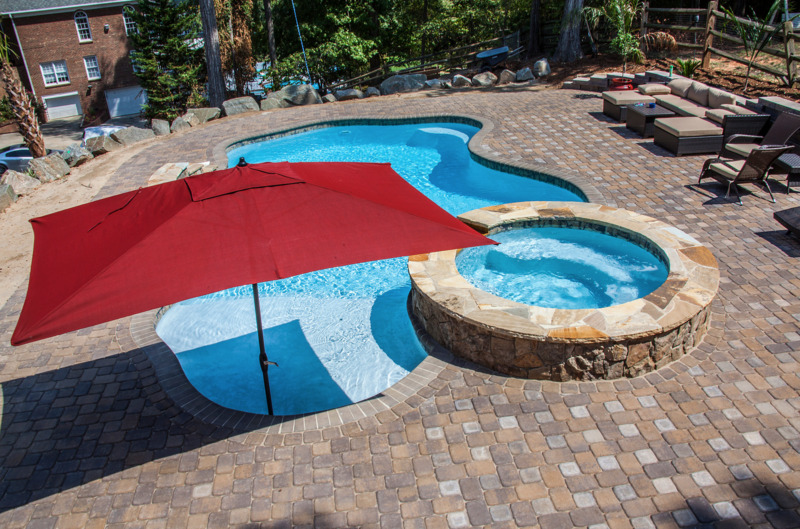 From start to finish, we will work with you one on one to ensure we identify your needs so that our finished project accomplishes your Denver NC concrete pool goals. 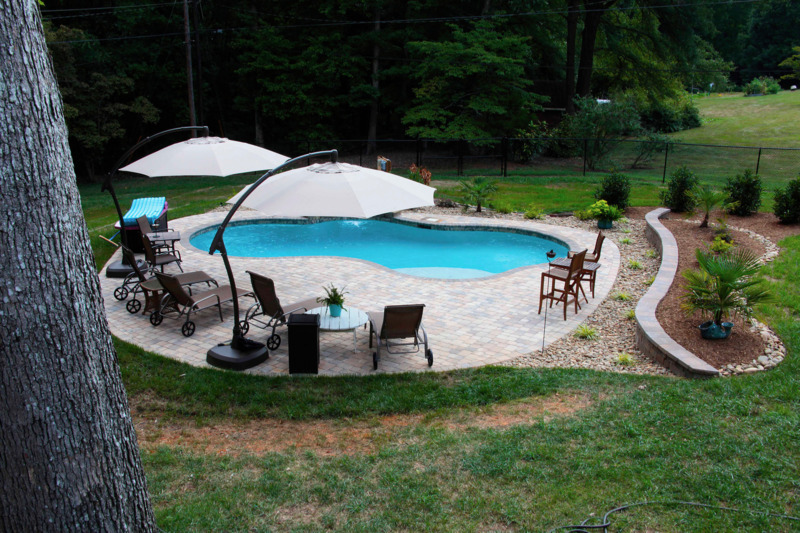 Give us a call today at 704-799-5236. 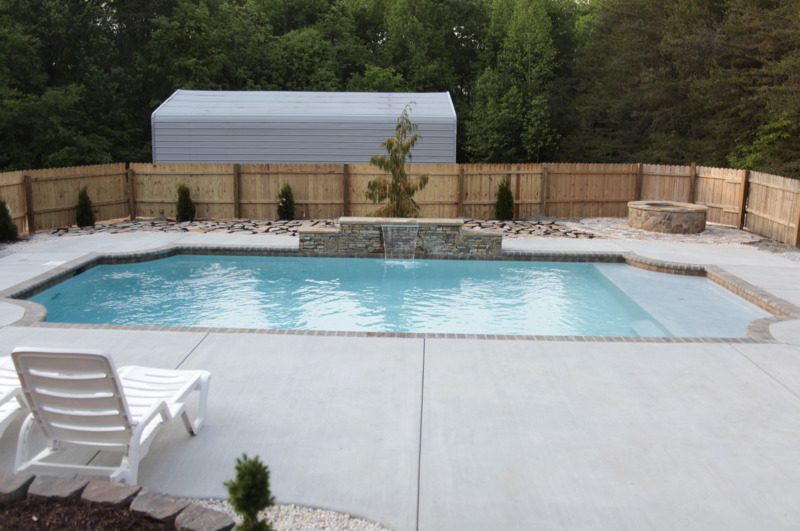 When thinking about your backyard, what are you looking for most in your new pool? 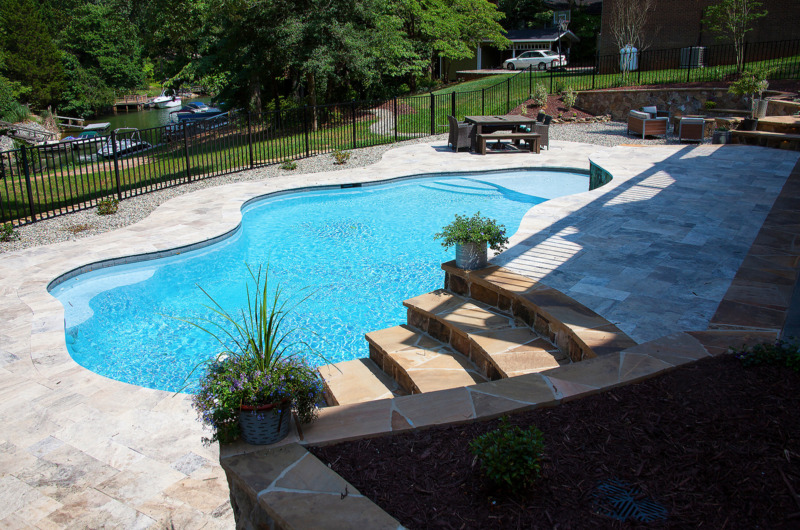 Are you interested in a gradual sloping bottom with a shallow end or deep end? 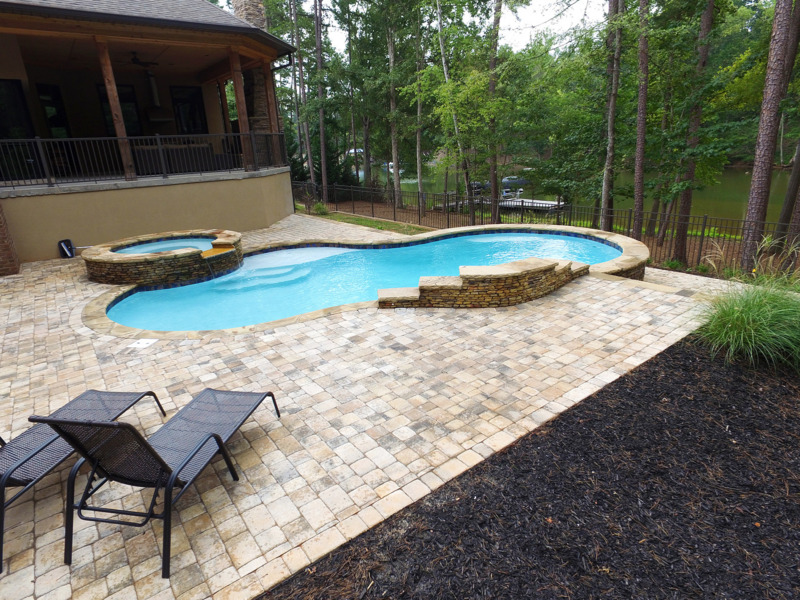 How about an attached spa with a water fall feature? Many homeowners even look for underwater seat-shelves that provide a place to sit and relax and enjoy the sun. 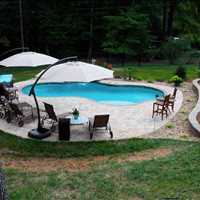 With a custom gunite concrete inground swimming pool, if you can think it, we can build it. 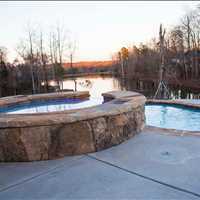 Denver NC concrete gunite pools offer homeowners nearly limitless customization options so you aren’t limited to a single size or shape. 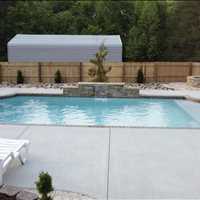 With vinyl liner pools you are typically restricted to selecting the pool design out a catalogue. 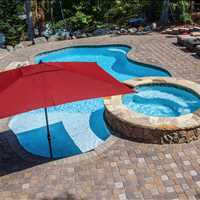 Moreover, you have to worry about the liner tearing due to debris, pets, and even children and pool toys. 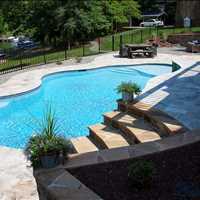 Concrete pools are the superior choice here in Denver North Carolina and can actually add value to your property. 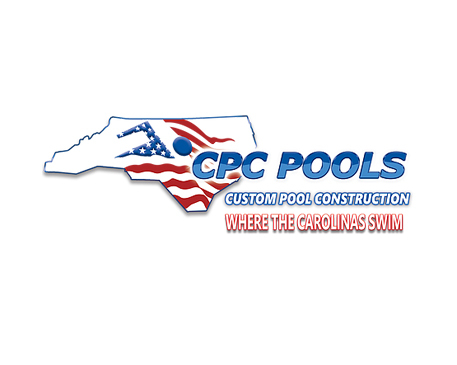 Make your backyard a vacation destination with a new custom gunite concrete pool in Denver NC from Carolina Pool Consultants. 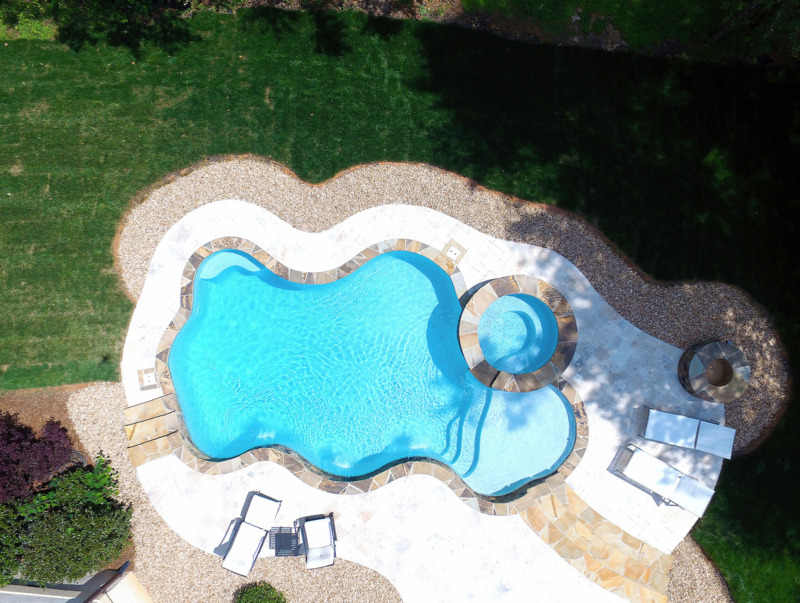 We look forward to helping you create the relaxing retreat you have always wanted for your backyard, give us a call today and let us help you get your pool built before the end of summer, 704-799-5236. 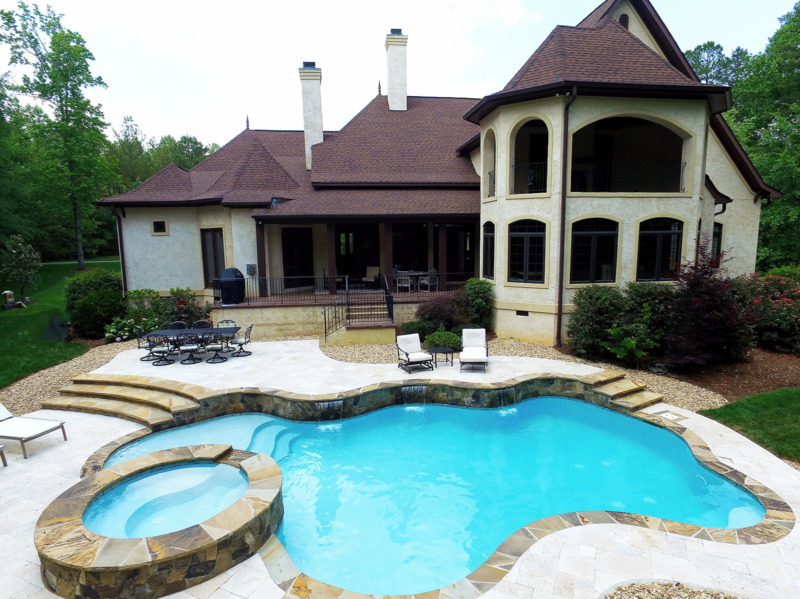 For Information Regarding Denver North Carolina Pool Financing, Please Contact Lyon's Bank.